Home › Creation › Do You Really Believe in the Devil? “And look at all that air!” they might say, to quote a witty pastor. More palatable for many Christians is to refer to whole matter as Spiritual Warfare and acknowledge the existence of good and dark forces seen and unseen but very real and present throughout human history. But is it really real? Is there really a Devil? Does Satan live to torment us in this life and hopefully not the next? Is there really a spiritual war going on? We see in Genesis 1 “in the beginning” that God creates the earth, the stars, life, and all of this universe dimension as we see it, including Man, made in God’s own image (Genesis 1:26). But have you ever really taken notice of the fact that an Enemy of God, the Serpent, was present in the Garden of Eden with Adam and Eve? And it’s only Genesis Chapter 2. Indeed, there is something going on here prior, perhaps in another dimension far, far away, in which opposing forces are already at work, even war in some cosmic rebellion extended to the earth. Jesus also liberates many people from opposing demonic spirits and demonstrates an authority over them. (Mark 1:23-27, 34, 39; Matthew 12:22-29; Luke 13:10-16; Mark 5:1-20). The Gospels frequently attribute human misery to demonic activity. In fact, using the tactics of doubt and deception, the Serpent (later identified in Revelation 12:7, 9 as the Dragon, the Devil, and Satan) instigated the downfall of the human race. Thus the Bible begins and ends with a spiritual conflict and the Alpha and Omega, Christ Himself, as the ultimate victor and solution to the conflict. So if this is all real and not a myth, how are we to respond? As the Bible does attest, Satan exists and was created by God as an angel (Matthew 15:41) and was blameless until his rebellion against God (Ezekiel 28:12-15). Because of his rebellion, he and his legion of fallen angels (demons) have become a powerful force of evil in the universe. 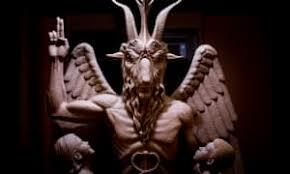 Kenneth Boa refers to Satan as the prince of the world system – his forces surround the earth…he influences the changing philosophies and politics of this planet.3 His names reveal his evil practices: devil, slanderer, evil one, destroyer, tempter, accuser, deceiver, murderer, liar, and father of lies. Can one be possessed by demons? The Bible does not use the term “demon possession.” The Greek word daimonizomenoi means “to be demonized” which allows for different degrees of demonization, ranging from influence to oppression to control.4 Thus, all people are targets for the forces of Satan. They can assault our minds, thoughts, and influence our emotions, and weaken our wills, injecting deceptive, accusing and condemning thoughts and attitudes that are opposed to the truth of Scripture (2 Corinthians 10:3-6, 11:3). We can be oppressed by obsessive thoughts and behavior, even enslaved to irrational impulses and behavior. Most severe, as seen in several Jesus’ encounters, is demonic activity that dominates the mind, speech and behavior. Yes, the battle is real. And most of us, Christians included, are not seriously prepared for the fight. Thankfully though, we have been given authority and victory in this spiritual battle (Matthew 10:1; Luke 9:1; 10:19). Because of the cross of Christ, Satan is a defeated foe (John 12:31). Our spiritual weapons: prayer, the Word of God, and our union with Him through the Holy Spirit (Colossians 2:9-15) actually equip us to be “rescued from the domain of darkness and transferred to the kingdom of His beloved Son” (Colossians 1:13). And with that, it’s high-time to seriously engage, with Godly strength and confidence, an enemy that is real, insidious, treacherous, and highly dangerous. Do you believe in the Devil? I certainly do. 1 Conformed to His Image, by Kenneth Boa, Zondervan, Grand Rapids, MI, p. 327. 2 Daily Dose of Bible Knowledge, Randy Peterson, David Baker, David deSilva, David Howard, Craig Wansink, West Side Publishing, Lincolnwood, IL, 2009, p.57. 3 Op. cit., Boa, p. 341. 4 Op. cit., Boa, p. 344. The Bible says there is, so there is.